How has summer been treating you so far my butterflies? - what can I say, I have been so busy living my life that it's left me with less time than usual to blog about it. A very good problem to have. I am a long standing member of Influenster, and normally get to dive into my Influenster 'Vox Box', the moment they arrive, but these last two were a bit different. The first one literally got lost in the mail, but luckily I have a great Mail Carrier and was able to enlist his help, the box was beat up, but thankfully the contents weren't destroyed and finally arrived safely, sadly quite a bit after deadline. While you all know I am diametrically opposed to doing free work on my blog and then be given a deadline to boot, I do try my best to keep campaign goals in mind, especially for Influenster as they have always been really good to me! The second box required a 14 day testing period, so I am coming at you with TWO Influenster boxes today instead of one. I have to start with the lippie, This liquid lip formula glides on with the full coverage of a lipstick and the high shine of a gloss in a single coat. If you are a long time reader you know that I wear red or a variation of it DAILY but I normally customize it myself - it is a mix of two lipsticks and a particular gloss (Duwop's Lip Venom) which I enjoy taking time with to get the blend that compliments my Latina skin tone. The Be Legendary Liquid Lip is what I would consider the 'night' version of my custom lip blend as it's more high gloss with a unique sheen that is perfect! While I wear reds, wines or crimson daily it might be too strong a color choice for most by day, but it gives me the look that I spend a lot of time customizing myself right out the tube, so SCORE! YES! YAS! and PERK! (Note: If you read the reviews, many find this too sticky - they are going for a very high gloss look with this one, it is not a full on lipstick nor is it a matte). If this lipgloss were a person, she would be vampy, very life of the party, heads will turn. This lipgloss is a 'boss b*tch' and she is leaving the party with a purse full of digits, just saying. The Smashbox Cover Eye Palette quickly became a fave for the unique optical illusion which doesn't photograph well, maybe I should have done a quick video so you can see it, but you stay for the adaptable colors and thankfully their site offers some daytime vs night time looks created with the very same palette I received. I wish I would have gotten it in 'Smoky' because I have gotten way better at a smoky eye, but the metallic grey in the palette I received is worth the price of admission as far as I'm concerned. I also greatly appreciate the size of this palette as a travel lover, this eye palette is perfectly portable - not too big, not too small. We are no stranger to Smashbox on Ascending Butterfly, I am a big fan, their products are always perfectly pigmented, I get great wear and they rarely ever 'melt off' - girls you know what I mean, the struggle is real, especially right now in summer, especially if your skin type leans toward oily. Skincare: The L'Oreal Revitalift Challenge was a fun one, this moisturizer definitely lives up to it's name, it is called "Triple Hydration" and it certainly delivered. It is thick, so a LITTLE goes a long way. You are getting great value with this moisturizer because you really don't need to use much per application. I was reading up on the reviews on this and I did like some of the ideas that for those who found this too thick they used it as a night cream instead of by day and that is what made most sense to me as I already have BB Creams or light foundations with SPF I use by day (or often use Mineral Makeup Foundation) so I don't want a day cream that is going to fight with the skin care and makeup routine I already use. I also thought the reviewer that mentioned that she not only used it at night instead of by day, but also waited at least fifteen minutes before letting her head touch the pillow also made sense. There is a good reason why I have been with Influenster so long (I think they actually pre-date my blogging), their boxes always contain quality products and their site is full of honest reviews from folks from all walks of life, and to answer that million dollar question, Influenster "Vox Boxes" are NOT just for bloggers, you can NOT be a blogger and still sign up for Influenster and get boxes, I was before I started blogging and after all these years still get that same 'kid at Christmas' time rush when a signature Influenster Box shows up at my door. Influenster is also a community, so you can ask questions on their forums which is helpful, and I can tell you the reviews are brutally honest, no one holds back, and it gives you great buying guidance, which I hope I am also doing for you! Just remember, you don't get every box program they offer, and you can go a long period with a dry spell where you don't qualify for a campaign. I want to say it's 'nothing personal' but to a degree it is, the brand is looking for a particular demographic and Influenster then vets their database against a client's criteria. Some demographics are based on age, so you aren't going to get a "College Vox Box" if you are well past College age. I know, many adults are in College too, but those boxes usually have a specific age range in mind. And then when you least expect it, you qualify for three campaigns back to back like I did this summer, I have another box I am dying to tell you about! But this one is in it's own category and definitely needs its own day in the sun. My best way to give you an idea of how much I like a product, would I re-buy them all if they weren't 'gifted'? Yes I would. But I put 'gifted' in quotes because product reviews are HARD work, they are time consuming and can sometimes feel very much like a labor of love. When you work with a brand like Influenster that takes time to get to know your preferences and what you are jazzed about it makes things a whole lot easier. And when a box knocks it out out the park, even better! Remember Influenster is not a subscription service, you can't "BUY" an Influenster Box, you have to 'earn' them by filling out an accurate profile and following the campaign guidelines. So tell me butterflies how are you keeping your skin hydrated this summer and what makeup is part of your summer routine? FTC Disclosure: Products were sent to Ascending Butterfly at no cost as a member of the Influenster Network, and all opinions are 100% my own! This is NOT a compensated post. I am disclosing this in accordance with the Federal Trade Commission 16 CFR, Part 255 - Guides Concerning the use of endorsements and testimonials in advertising, you may check our Giveaway and Disclosure Page for additional information regarding Ascending Butterfly Disclosure. Look at all the good stuff in there. I think it's something that I seriously need to consider signing up for. My GF would love that. I hear here talking about Smashbox with her friends sometimes. These boxes always sound so good, I would love to check out the palette and the L'Oreal sounds fantastic as well. What a great mail carrier you have and went above and beyond the call of duty. The lippie sounds wonderful. Love trying out new lip colors. Ahhh I LOVE Smashbox!!! Hey take all the time you want or need! Life comes first! Glad you are having a good summer. Looks like you got some great products to try. I'll have to check out Influenster, I have done it in the past but have not used it in a while, apparently I am missing out! I could definitely use some new items in my beauty routine. There's a lot of great stuff in both boxes. I would love to try that lippie. I am really not into makeup but I am interested with those products! I always use lipstick, nothing else. It looks like you got some great products there. I love Influenster too- they always have pretty good offerings. This one was a great one! Influenster rocks. I seldom get a voxbox but when I do I always love everything in it. This one is a great one. Wow these look like great products. I would love to try them out! 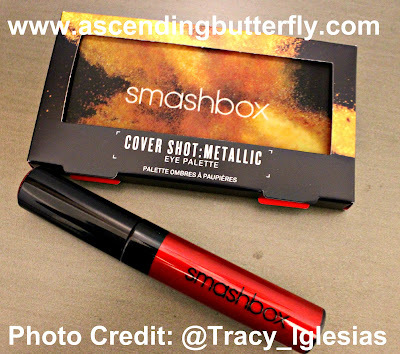 Smashbox is one of my favorite brands of makeup. I've heard of this box before. Looks like so much great items too. I would love to try this out. Thanks for explaining the program - I had no idea how it works. And who doesn't love getting packages of goodies in the mail? I haven't heard of Smashbox. I think it would be a great gift to give my daughter. She loves makeup. You got an amazing box of products! I keep my skin hydrated by using creams like L'Oreal! I just tried the Revitlift. I really liked it and I noticed it really does help my skin. 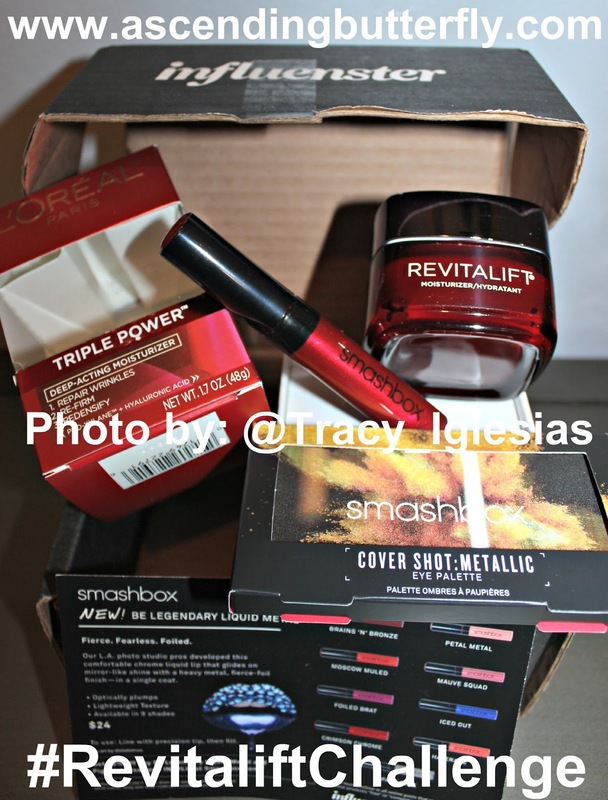 Influenster is awesome! The smashbox palettes look amazing!! I use this! It is great for the summer sun! 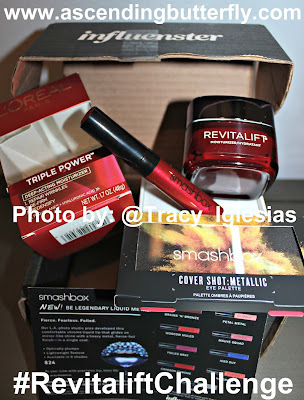 I love makeup and smashbox is one of my fave brands! 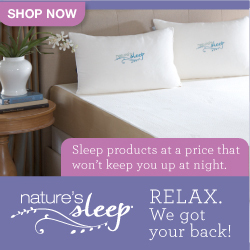 I am going to have to check out these products! The lippie sounds like my cup of tea. I wear a bold red daily as well. It makes me feel amazing and commands attention. That palette looks fun. I got the Loreal one too but didn't have much results with it. What a nice score! 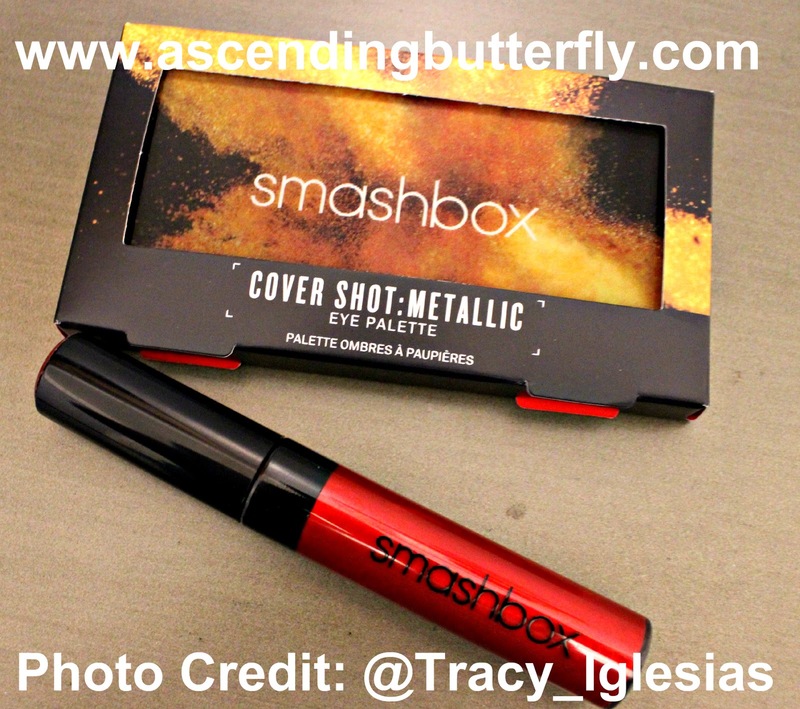 I'd love to get some smashbox in an influenster box. It sounds like you got to have tons of fun with these last two. Lots of info to cover!